Cardi B is speaking out about her experience after giving birth to daughter Kulture. The "Bodak Yellow" rapper opened up to Harper's Bazaar in an interview published on Thursday, Feb. 7, 2019, revealing that she struggled with postpartum depression after welcoming her child into the world. "I thought I was going to avoid it," the artist admitted. "When I gave birth, the doctor told me about postpartum, and I was like, 'Well, I'm doing good right now, I don't think that's going to happen.'" Unfortunately, however, that just wasn't the case. "But out of nowhere," the 26-year-old said, "the world was heavy on my shoulders." 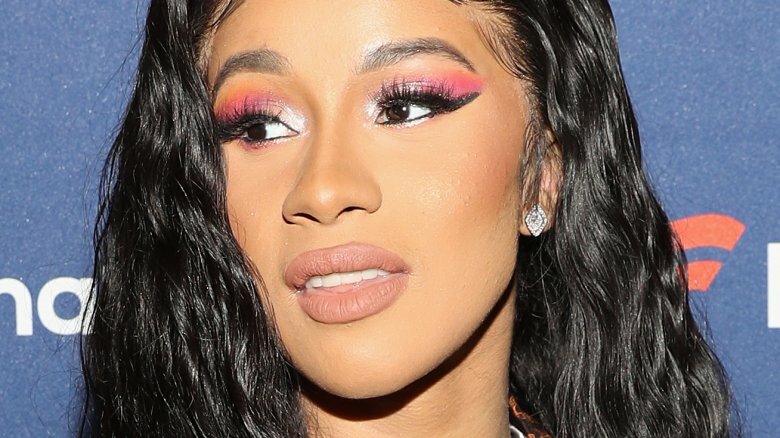 According to the magazine, a few months after giving birth, Cardi, whose real name is Belcalis Almanzar, said she started to feel better, but she's still not feeling her best. "For some reason, I still don't feel like my body's the same," she shared. "I feel like I don't have my balance right yet. When it comes to heels, I'm not as good at walking anymore. I feel like I'm holding a weight on me. I don't know why because I'm skinnier than I've ever been. But there's an energy I haven't gotten back yet that I had before I was pregnant. It's just the weirdest thing." As Nicki Swift previously reported, Cardi B, whose real name is Belcalis Almanzar, and her now-estranged husband, Migos rapper Offset, welcomed their daughter on July 10, 2018. Taking to social media the next day, Cardi shared her kid's full name: Kulture Kiari Cephus. Cardi and Offset later announced their split in December, though it's possible that they may now be back together, according to Harper's Bazaar. In early February 2019, Cardi spoke with People about her relationship with Offset, stating, in part, "It's a marriage and there's a child involved and family involved." So, while Cardi may have previously rejected Offset's advances to reconcile, it'd seem that she hasn't ruled out rekindling their romance in the future.